Construction is one of the most dangerous lines of work. Every year, dozens of scaffold accidents take place in New York City, resulting in catastrophic injuries and loss of life. According to the U.S. Bureau of Labor Statistics, 21 New York construction laborers died from on-the-job injuries in 2016, and nearly 40 percent of these deaths were caused by a fall. 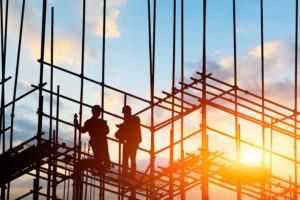 While statistics on scaffold collapse fatalities and injuries are discouraging, New York’s Scaffolding Law (LAB § 240) affords greater protections for construction workers and independent contractors who are injured on the job. New York is the only state that imposes strict liability, also known as “absolute liability,” for gravity-related accidents on laborers engaged in construction, demolition or repair work. The term “absolute liability” means that the construction site owner, contractor or private builder may be held wholly responsible for any elevation-related injury sustained on the job, even if the victim’s own actions or inactions contributed to the accident. The one exception to this rule is when a plaintiff’s negligent conduct is the sole proximate cause of the injury. If you suffered injury from a scaffolding collapse on a construction site, it’s imperative to seek legal guidance right away. 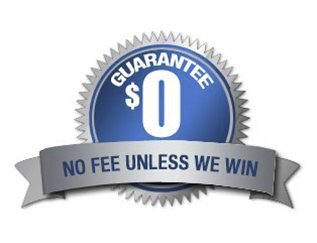 Friedman, Levy Goldfarb & Green is a NYC law firm that understands the nuances of Labor Law 240/241 and will aggressively pursue maximum money damages for your lost wages, ongoing medical expenses, pain and suffering. Our experienced construction accident attorneys leverage decades of experience advocating for clients in complex scaffolding collapse accident cases. Many victims shy away from litigation, thinking it will negatively impact a worker’s compensation claim. In reality, our clients may also have grounds for filing a personal injury lawsuit against negligent general contractors, sub-contractors, construction site owners, or other culpable entities. In addition, the plaintiff must have fallen from an elevated structure such as a tower crane, scaffold or latter or harmed because of a falling item. However, recent decisions in scaffolding accident claims have shown that the courts favor a strict interpretation of Labor Law 240. Given the varied exceptions and interpretations of New York’s labor laws, it’s wise to align yourself with competent legal counsel. OSHA has strict regulations and safety standards regarding the assembly, maintenance and use of scaffolding at construction sites. Despite these guidelines and training protocols, scaffold accidents account for nearly 10 percent of all construction site fatalities. According to scaffolding accident statistics collected from the Bureau of Labor, more than 70 percent of injured workers argued that problems with planks or inadequate structures were the primary cause of most injury-producing falls. The law office of Friedman, Levy, Goldfarb & Green is here to help construction workers obtain justice for the financial, physical and emotional consequences of scaffolding injuries. We perform thorough investigations to gather evidence, and our knowledge state labor laws gives our clients a competitive edge when it comes to securing settlement monies. For more than five decades, our legal team has fought for injured construction workers throughout New York City and Long Island. We look forward to discussing your legal options during a free case review.